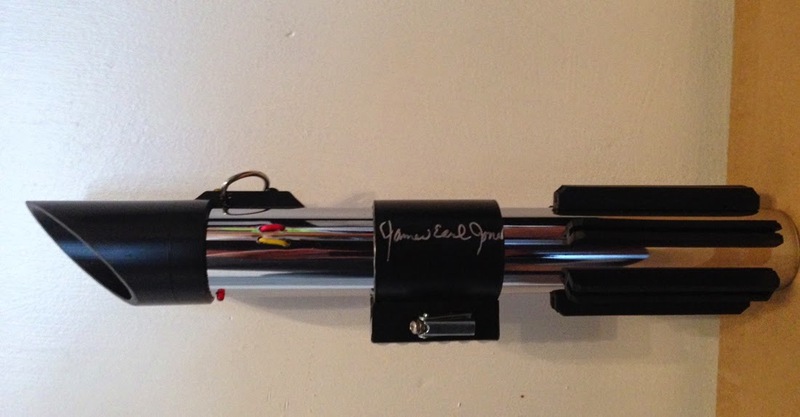 A beautiful replica Light Saber signed by James Earl Jones. This Light Saber is machined from stainless steel and aluminium and it is full sized at 31cm long. 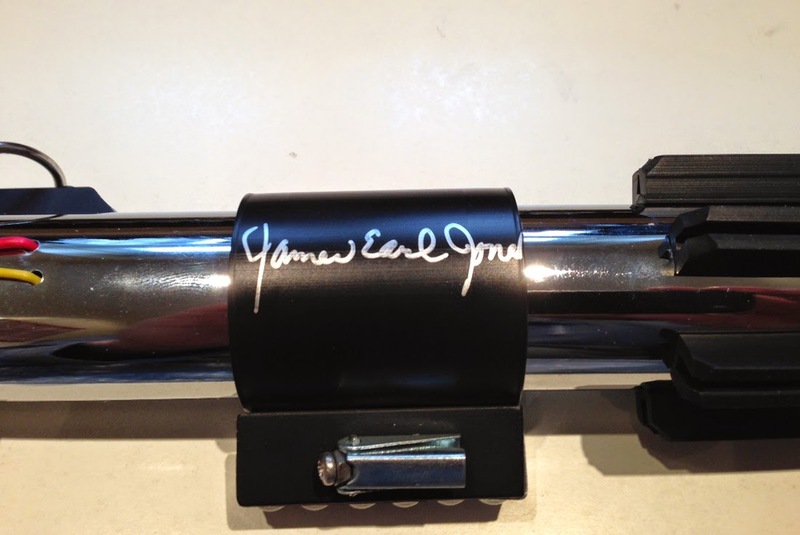 This item was signed by James at the Longacre Theatre in New York on the 3rd October 2014.